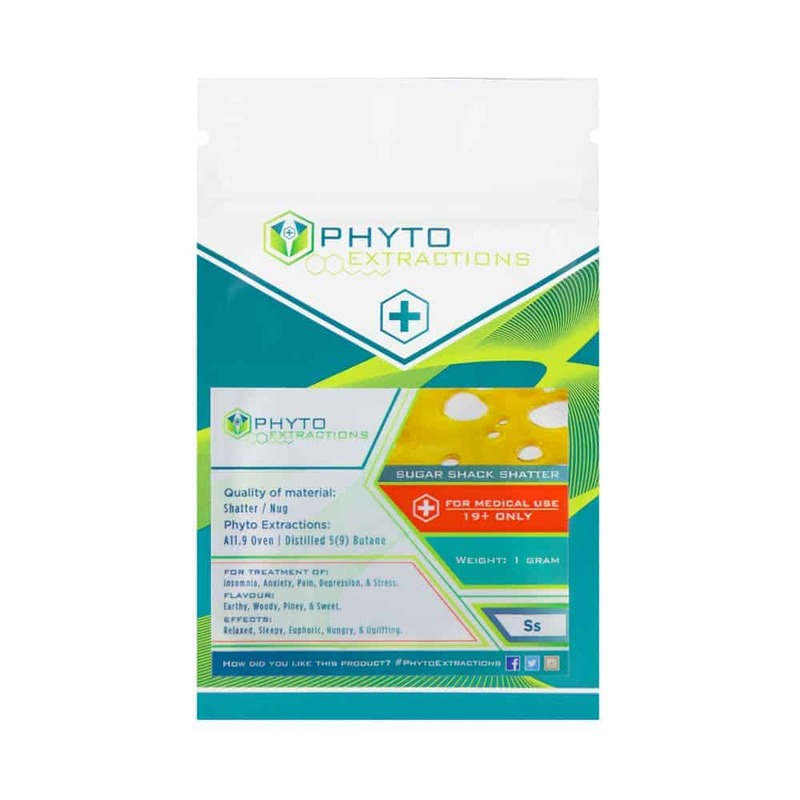 4 reviews for "Phyto – Sugar Shack Shatter – Hybrid Shatter"
I’ve waited a couple of days before reviewing this one so I could get a good overall view on this strain. First I will say flavor is very pungent (every time I open up the bag I get a strong wif of pungentness almost as if opening up a bag of dill pickle chips and breathing in the aroma) it wasn’t what I was expecting for the name being sugar shack however I wasn’t disappointed!! High was relaxing and it was stable shatter as always ! Gold buds always gets the best of the best. I’ve tried Sugar Shack from other vendors and the result is always the same… this stuff will couch lock ya! The body buzz is intense and super relaxing. This strain is great if you need to completely “wind down” after a busy day of work, relaxes your racing thoughts from the day.